Wait Here? | Only at His Feet! How is your spiritual walk going? Are you on the mountain top with everything going just the way you hoped? Are you in a dry and deserted place trying to hear the voice of God? I have to admit that waiting is not my strong suit. I am a planner. I have lists for everything. So if something doesn’t work out the way I had planned it can throw me off. Waiting, whether I’m on the mountain or in a desert, is just difficult for me. I don’t like that part of me and it is something God is working on with me. 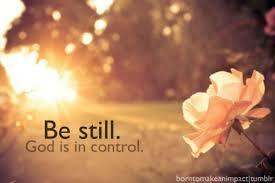 I have to remember that no matter what He is in control. Why? Because sometimes ‘waiting’ is exactly where He wants us. For what reason? Waiting can mean more time to study His word. It can mean more time spent in communion with Jesus. It can be the one thing we need to get through the next storm. Waiting can be the difference between standing tall in the strength of the Lord and falling flat on our faces. My prayer is that I ‘wait’ on the Lord in all things…that when I am ‘waiting’ I can use that time to grow closer in my relationship with Jesus…that I can encourage others who may be in a ‘waiting’ status in the Lord. How about you? This is fantastic. I used to view the waiting season just like being stuck in the mud, but I am learning that waiting and growing seem to go hand-in-hand. Thanks for such a thoughtful post.